Job Title:Stores Supervisor; Stores Team Leader Great opportunity to develop the stores department within a well-established, highly profitable Bradford-based company. 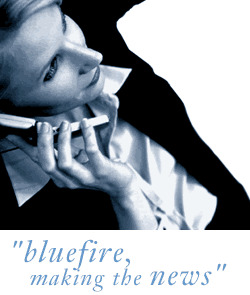 Location:Bradford Salary:£24,128 The Role Bluefire Consulting are recruiting for a Stores Supervisor; Stores Team Leader to oversee the work of a team and assist with the continual improvement of a stores department within a reputable furniture organisation based in Bradford. Great opportunity to develop the stores department within a well-established, highly profitable Bradford-based company. As a successful Stores Supervisor; Stores Team Leader candidate you must have previous experience working within a similar stores, warehouse or logistics position and be confident dealing with stock control across a large, fast-paced organisation. Stock taking experience is essential for this position. Any Stores Supervisor; Stores Team Leader applicant must have an FLT licence to assist with goods-in and be computer literate. As a Stores Supervisor; Stores Team Leader you will be managing a team of Storespeople so previous team leading experience would be seen as highly advantageous. The company are always looking for ways to improve efficiencies and develop so you must be enthusiastic, innovative and open to new ideas. Owing to the nature of the role a full UK driving licence and your own transport is required. Our client is a well-established, highly successful, family run company who specialise in providing high quality furniture to retail organisations across the UK. With suppliers located around the world they are looking for a dynamic Stores Supervisor; Stores Team Leader to assist the company to move forward and continue to improve efficiency and cost-effectiveness.